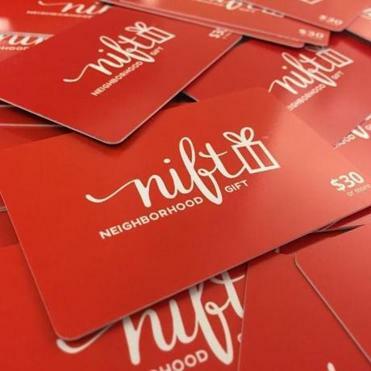 Businesses choose how many referrals they want Cambridge startup Nift to send them, and that’s the same number of gift cards they have to give out. In other words, for each Nift a business gives, it gets one back. Nift, a Cambridge startup that helps small businesses send customers to each other, has raised $3 million in seed funding. With many small businesses struggling to stay afloat against e-commerce and big-box stores, Nift has created a network for small businesses to send each other new customers. Based on two familiar principles of marketing -- giveaways and customer referrals -- Nift uses an algorithm to send regular customers of one small business to another by offering them free gifts. With rising rents, many small businesses are searching for new ways to advertise on a shoestring budget, said Carrissa Blackburn, executive director of Cambridge Local First, a nonprofit network of locally-owned and independent Cambridge businesses. Since September, Sandler said she’s given out dozens of “Nifts,” which come in gift-card format printed with a serial number that recipients enter on Nift’s website. Her customers then have the option of choosing one of two gifts offered by another business in the Nift network -- perhaps a bouquet of roses from the local flower shop, or a bottle of wine. Businesses choose how many referrals they want Nift to send them, and that’s the same number of gift cards they have to give out. In other words, for each Nift a business gives, it gets one back. Early data show that 60 percent of customers who redeem their Nift end up buying something else or coming back to the business again, said the company’s founder and chief executive Elery Pfeffer. Currently, businesses aren’t paying anything to participate, aside from the cost of the free gift, usually valued around $30. Pfeffer said this will change once his company comes out of beta, at which point businesses will pay $10 per referral. A 2013 study from the firm Civic Economics analyzed 10 Chicago businesses and found that for each dollar spent locally, an additional $.68 of economic activity was generated. Pfeffer founded a digital marketing company called Pursway that was sold to a large international holding company last year. His current venture has the backing of Jeff Fagnan, a founding partner at Accomplice, and Santo Politi, a co-founder and general partner at Spark Capital. Various apps have emerged in recent years to help drive business to independent retailers. Boston-based DoneGood lets users search for small businesses that share their values, such as sustainability or workers’ rights, while Philadelphia-based Main and Me, which recently launched in Boston, provides an online marketplace for small businesses.